[187 Pages Report] The global customer data platform market size is expected to reach USD 3,265.4 million by 2023 from USD 639.9 million in 2017, growing at a Compound Annual Growth Rate (CAGR) of 29.3% during the forecast period. The base year for the study is 2017 and the forecast period is 2018–2023.The customer data platform (CDP) market is said to have a potential scope for growth in the years to come due to increasing adoption of the customer data platform for omni-channel customer experience and demand for real-time data availability. To define, describe, and forecast the size of the customer data platform market by type (access, analytics and engagement), application (marketing data segmentation, personalized recommendation, predictive analytics, campaign management, customer engagement and retention, security management and others), component (solutions and services), enterprise size (small and medium-sized enterprise, and large enterprises), delivery mode (cloud and on-premises), vertical (BFSI, retail and ecommerce, media and entertainment, IT and telecommunication, travel and hospitality, energy and utilities, automobile, healthcare and life sciences and others), and region (North America, APAC, Europe, Latin America and MEA). The report also aims at providing detailed information about major factors, such as drivers, restraints, opportunities, and challenges, influencing the growth of the customer data platform market. The report also aims at providing detailed information about the major factors influencing the growth of the CDP market (drivers, restraints, opportunities, and challenges). The research methodology used to estimate and forecast the global customer data platform market size begins with capturing data from key vendors’ revenue through secondary research, annual reports, government, publishing sources, the Institute of Electrical and Electronics Engineers (IEEE), Factiva, Bloomberg, and press releases. The vendor offerings are also considered to determine the market segmentation. The bottom-up procedure is employed to arrive at the overall global customer data platform market size from the revenues of key market players. After arriving at the overall market size, the total market is split into several segments and subsegments, which are then verified through primary research by conducting extensive interviews with key individuals, such as Chief Executive Officers (CEOs), Vice Presidents (VPs), directors, and executives. The data triangulation and market breakdown procedures are employed to complete the overall market engineering process and arrive at the exact statistics for all the segments and subsegments. Major vendors in the global customer data platform market include Nice. (Israel), SAP (Germany), Salesforce (US), Adobe (US), SAS Institute (US), Oracle (US), Agilone (US), Tealium (US), IgnitionONE (US), Blueconic (US), RedPoint Global (US), Ascent360 (US), Segment (US), Lytics (US), Zaius (US), mParticle (US), ActionIQ (US), Amperity (US), Evergage (US), Reltio (US), Signal (US), Ensighten (US), UserMind (US), Fospha (UK), NG Data (Belgium), and SessionM (US). In July 2018, Salesforce acquired Datorama, a leading provider of cloud-based marketing intelligence and analytics platforms. This acquisition would help marketers integrate and gain insights from one single source of data. In March 2018, Adobe introduced Experience Cloud Profile that offers a real-time view of customers, stores data from different sources, and performs identity management to create a unified customer view. In May 2016, Oracle acquired Opower, a leading provider of customer engagement and energy efficiency cloud services for the energy and utilities vertical. This acquisition helped Oracle become the largest provider of mission-critical cloud services to the energy and utilities vertical, thereby enhancing its customer base. 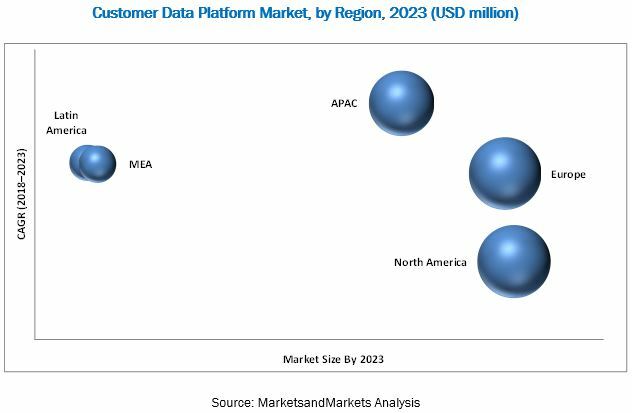 MarketsandMarkets forecasts the global customer data platform (CDP) market size to grow from USD 903.7 million in 2018 to USD 3,265.4 million by 2023, at a Compound Annual Growth Rate (CAGR) of 29.3% during 2018–2023. Major growth drivers for the market include an increasing demand for omni-channel experience and actionable insights by marketers and effective tracking of customers to understand their behavior for target marketing activities, and increasing pressure on CMOs to deliver personalized content spurring the demand for real-time data availability. The customer data platform market by type has access, analytics, and engagement segments. The analytics segment is expected to grow at the highest CAGR during the forecast period, owing to an increasing demand for personalization and omnichannel experience by the marketing executives to increase their revenues and reduce customer churn rates. In the customer data platform by applications, the personalized recommendation application is expected to hold the largest market size during the forecast period. An increasing demand for customer conversion, retention, and engagement is a major growth driver for the segment. In the customer data platform market by components, the services segment is expected to grow at a higher CAGR during the forecast period owing to increasing investments in startups and technology advancements. The services segment has subsegments of support and maintenance services and consulting services. The cloud delivery mode is projected to hold a larger market size in the market by growing at a higher rate during the forecast period, as it is a cost-effective and scalable solution. In the customer data platform by enterprise size, the Small and Medium-sized Enterprises (SMEs) segment is expected to grow at a higher CAGR during the forecast period. The increasing demand for scalable and cost-effective solutions is expected to accelerate the growth of customer data platform solutions among SMEs. In the customer data platform market by vertical, the retail and eCommerce vertical is projected to hold the largest market size by growing at the highest rate during the forecast period. Most of the marketing agencies are adopting the customer data platform solutions for better customer engagement and delivering personalized interactions. North America is expected to hold the largest market size in the global CDP market, while APAC to grow at the highest CAGR during the forecast period. In APAC, the highest growth rate can be attributed to the heavy investments made by private and public sectors for enhancing their marketing technologies, resulting in the increased demand for CDP and services. The presence of many CDP vendors in North America for delivering enhanced personalized customer experience is driving the adoption of customer data platforms in the region. What are the current trends in CDP market that is driving the demand for effective marketing strategies? What are the upcoming industry trends in CDP market? The global CDP market faces many challenges including the requirement of huge infrastructure or scalable solutions for collection and storage of large volumes of customer data. Lack of awareness and knowledge among marketers may hinder the market growth. Major vendors in the global CDP market include Salesforce (US), SAS Institute(US), Oracle (US), SAP (Germany), Nice (Israel), Adobe (US), Tealium (US), BlueConic (US), Ascent360 (US), Lytics (US), mParticle (US), Amperity (US), Reltio (US), Ensighten (US), Fospha (UK), SessionM (US), RedPoint Global (US), Segment (US), Zaius (US), AgilOne (US), ActionIQ (US), Evergage (US), NGDATA (Belgium), IgnitionOne (US), Signal (US), and Usermind (US). 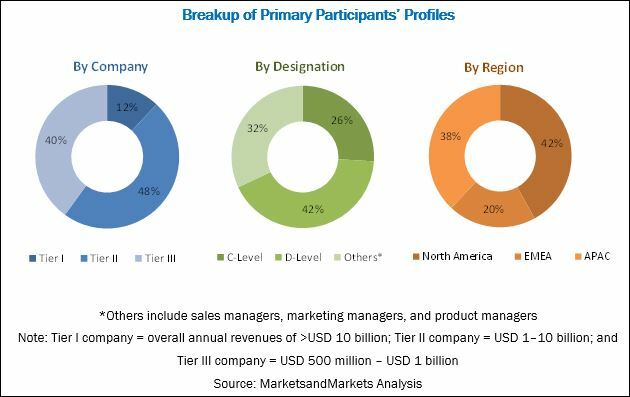 These vendors have adopted many organic and inorganic growth strategies, such as new product launches, partnerships and collaborations, and mergers and acquisitions, to further expand their presence in the global CDP market. *Details on Business Overview, Solutions and Services Offered, Recent Developments, SWOT Analysis & MnM View Might Not Be Captured in Case of Unlisted Companies.